*NOTE: This case WILL NOT fit any other Samsung models. Look great and feel great with this premium protector and unique design! It offers quality protection for your cell phone device while leaving all the unnecessary bulk behind. A built-in kickstand convenient when viewing media on your phone. Included with this case is a swivel carrying holster belt clip. 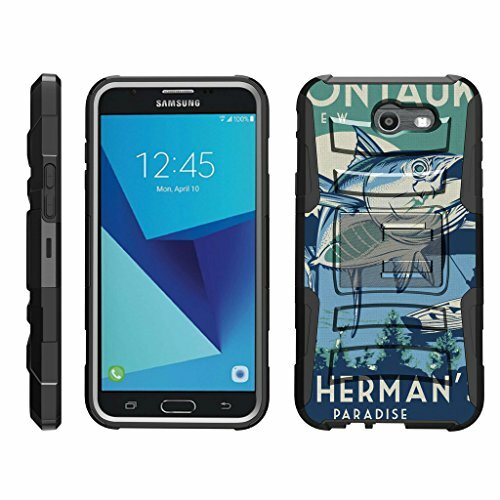 This case will offer your device the ultimate protection! Protecting your phone has never been this easier! Design -- All features of your phone are still accessible, and funactionable. This case is made up of 2 layers; the interior is made up of silicone skin gel, while the exterior is made up of hard polycarbonate (PC) plastic with a built-in kickstand. If you have any questions about this product by TurtleArmor, contact us by completing and submitting the form below. If you are looking for a specif part number, please include it with your message.